Now let’s get down to the most important aspect of creating an online presence – your WEBSITE! A lot of you may not agree with my title of judging a book by it’s cover, but trust me – when you have millions of website competing for the same set of eyeballs, it makes sense to go for a design that will immediately create a positive impact on your website visitors. 1. Choose the Content Management System(CMS) – You will need to decide on a CMS like WordPress/Drupal/Joomla (the most popular options out there) to build and design your content on. I’ve chosen to go with WordPress simply because it’s the best out there, you can work on it with zero coding knowledge, is super simple to use and get comfortable with. 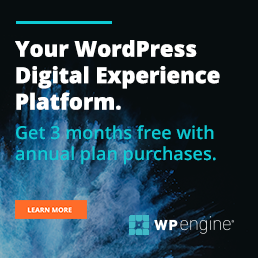 Installing WordPress is really simple and all the top hosting providers have a single-click installation process for it. The previous website that I had built, the only money that I had spent was on getting my website done was on buying a domain name and hosting plan. So, if I can do it, you can do it too. One thing that had really helped me was a video tutorial by Tyler Moore that took me through each of the steps in detail. I feel, before getting into the further steps for building a website, you should take out some time and check this video out. That ways, you will be able to make better sense of what I will be outlining in the next few steps. 2. Select A Theme for Your Website – Now here we come to the most important aspect of designing a website in WordPress. The kind of layout, look and feel that you select will decide whether your website comes out looking like a winner or a major turn-off for your website visitors. I personally took almost a week to finally zero in on this theme from Studiopress. I’ve selected the Atmosphere Pro theme as I quite liked the clean structure and the open spaces. Do a simple search on Google for ‘WordPress Themes’ and you will be astounded with the number of theme options available! While the choices are huge, you have to be very careful before finalizing the theme as a poorly made theme can spell disaster for your website. Check out this ready-reckoner on theme selection before going any further on this – How To Choose The Perfect WordPress Theme. You should be able to find a premium theme of your choice from one of these. Post this, all you need to is to move over to your dashboard and install the theme manually. So, once I finalized and installed my theme, I had a basic skeleton to play around with. I have also been working on the content simultaneously and so the first thing I did was to add all the blog posts (5-7 that I have written and kept ready) because one starts to get the actual feel of the layout only when you have placed the content. At this stage, I am not spending a lot of time in formatting as I want to have the Blog, About and Homepage populated with content before moving any further. As far as the images are concerned, the two primary resources that I am using are Shuttterstock(paid) and Pixaby (free). As far as the screenshots are concerned, I am using the Snipping Tool (In Windows, you can search for the Snipping Tool from your Start menu or task-bar search box). Now this is an ongoing process and will take some more time to refine and finalize. But the most important aspect of designing your website if to have a clear understanding of the kind of content you want to place, the pages that your website will have and the audience that you wish to target. Once you have clarity on these things, there is no dearth of themes that you can choose from and all you need to do is to select a theme that best suits your needs. This is just the starting point. As of now, I am just focusing n getting my content in place. Once this thing is done, I may also take help from a professional designer to do a final brushing up of my website and jazz i up a bit. Will keep you posted! Sign up to get this FREE ebook !